Perry seems to come in two varieties. There's the delicate, elderflower and fresh pear juice variety, and there's the more full bodied, tannic, occasionally funky type. 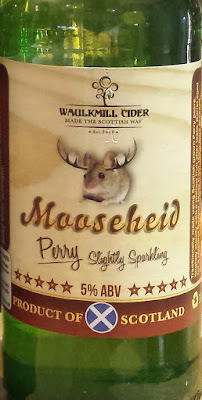 The latter is much closer to cider, and can be very enjoyable, but the former, rarer version is, in my opinion, the more exciting drink. 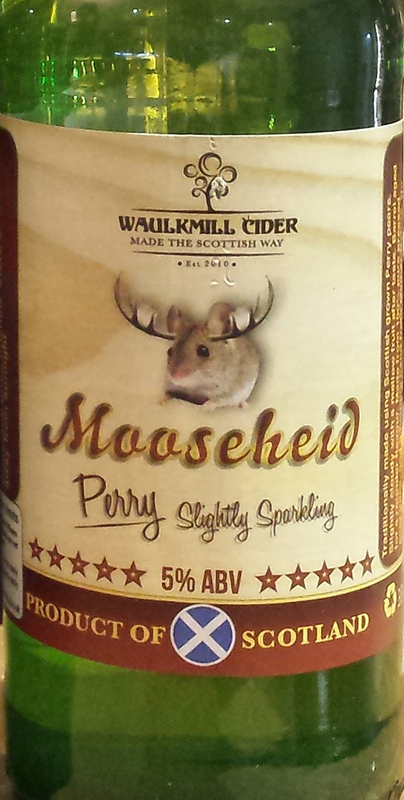 Mooseheid is very definitely at the cider-y end of the spectrum. nose: initially very good in a brisk way, then rather sulphurous for a few minutes. With time and air, a proper woody (or tannic? ), cidery funk develops.